A few weeks ago, I was having a conversation with a friend of mine on Facebook Greg Wagner when we got into a discussion regarding manly scents. I put forth my best argument for my selections and then Greg said he had something called Braggi and it’s the manliest scent he has ever come across and to prove it he would make me a custom shaving soap with the actual scent from the cologne. I had to accept this offer and I’m so glad I did because Greg was right. The custom soap comes in a tin with a screw on lid and a plastic window which allows you to see in when closed. This is a welcome feature but the plastic seemed a little flimsy to me and would break if pressure was applied to it but it worked just fine and never let the scent out of the tin when closed so it was airtight. This is a glycerin shaving soap and I think wet shavers are coming around to how great they really are especially when you're adding additional ingredients to enhance it. The scent was exactly what Greg described, Manly. I did a little investigative work on Braggi and found some interesting facts on the cologne. 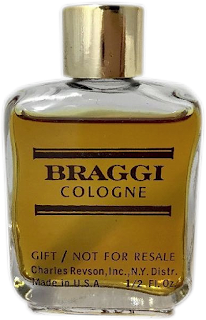 This scent fragrance Braggi is a cologne for men by Charles Revson this was introduced in 1966. Charles Revson Braggi is classified as a Leather fragrance. The scent includes top notes of hesperidium fruits, foliage, middle notes of leather, exotic spices and base notes of oakmoss, woody elements. Some say this resembles the original Polo I say it’s more like Aramis but you’re going to have to judge for yourself. Lathering is no problem I used a brush with backbone so I could press a little harder on the soap and loaded it from the tin in about 30 seconds with no issues. Applying the lather was such a pleasure. I can only describe this experience as unique because the scent never lost its strength during the entire time I was lathering or shaving. The slickness and glide were just as good as some other soaps I used and the post shave feel was as well. 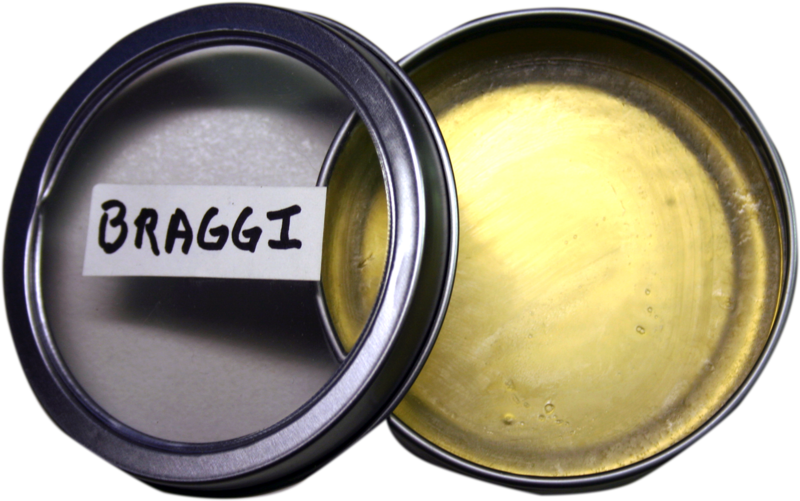 So, I had a great shave with Braggi It's a pure glycerin soap all natural ingredients great for sensitive skin no colors dyes preservatives chemicals and is only created upon request. You can get one free when you purchase a vintage razor.